Limited to 12 per customer! Johnny Thompson is one of the most respected minds in magic. His distinguished, decades-long career has covered all facets of magic. As a pioneer of trade show performances, as a legendary dove worker—performed as his iconic stage persona, The Great Tomsoni & Co.—as a bamboozling bar magician, as a charming mentalist, as a surprising illusionist, and as one of the most sought-after magic consultants… Johnny Thompson, truly, has done it all. And now, he shares it all with you. 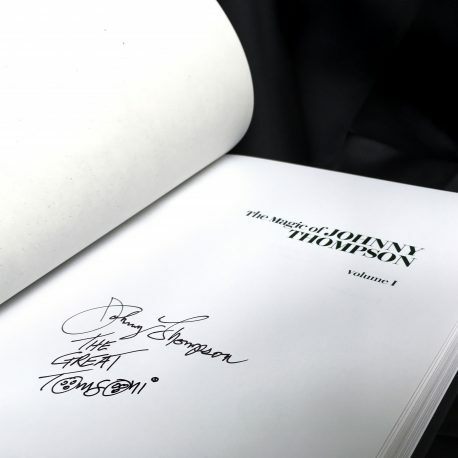 Written by renowned author Jamy Ian Swiss and the master magician himself, Johnny Thompson, The Magic of Johnny Thompson meticulously details the real secrets of seventy-eight of Johnny’s most cherished and celebrated routines, including The Cups & Balls, The Balls in the Net, The Egg Bag and The Gambler’s Ballad. It also includes previously unpublished material from Johnny’s respected colleagues and mentors including Dai Vernon, Harry Riser and Ed Marlo. 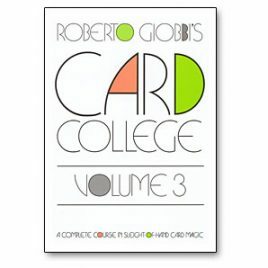 There is an extended chapter devoted to the close-up magic of Charlie Miller and Max Malini. There is the entire Johnny Thompson Trade Show Act (complete with a sample script), including the incredibly impossible $100 Dollar Prediction. 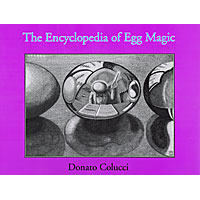 There is also a chapter devoted to dove and silk magic by The Great Tomsoni & Co., which incudes a thorough essay on the development of a dove act. 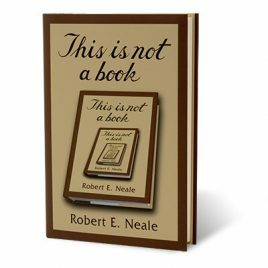 Two-volume hardcover, slipcased set: 12.5″ x 9.25″ x 2.75″ (31.75 x 23.5 x 7 cm), approximately 10 lbs. 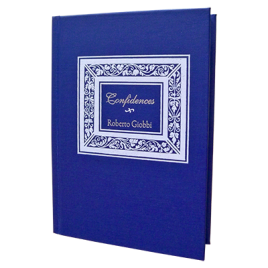 (4.5 kg) with 78 routines spread over 663 pages, featuring nearly 1,100 photographs.